We’re kicking off the week with ears ready for fresh tunes! PULP Magazine has rounded up new music to add to your playlists—FRESHLY SQUEEZED! PULP Magazine Issue No. 192 cover artists LOSTTHREADS have released their much-awaited album Aftermath via Tower of Doom. Aftermath follows Wake Up Your God and has been four years in the making. “These past few years have been dreadful to some extent for us and most people. There have been tragic occurrences throughout the world and we realized how corrupt the minds of some people are. 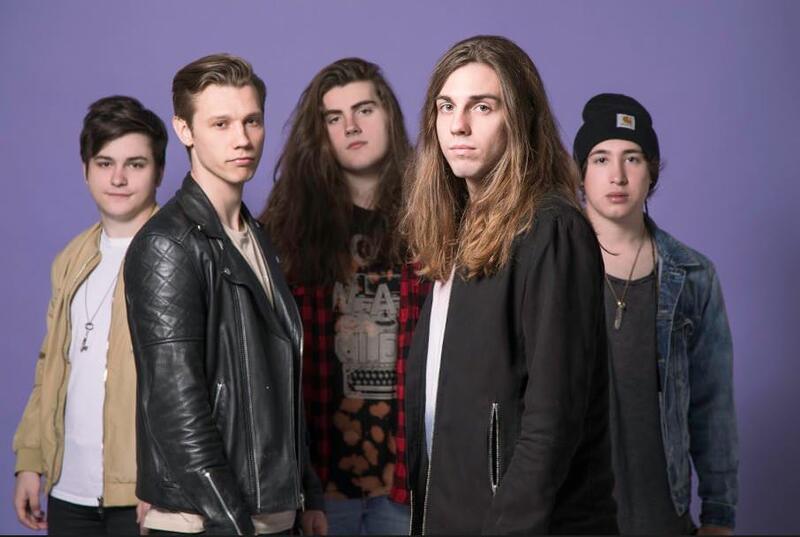 We then decided that it would be the right time for us to share our own thoughts and interpretations of such situations through our music,” LOSTTHREADS have told us before the end of 2017, sharing the inspiration behind their new music. For the full interview, check out PULP Magazine Issue No. 192 (November - December 2017) and get the full story on the band’s new album. Recently, Angulo made their return with their first single in about ten years, “Same Old Story.” The new song came as their album Blur The White Lines approached the ten-year mark, which fans and friends celebrated during a nostalgic anniversary gig presented by Red Ninja Production at Dulo MNL. Kolateral: Buelo, the latest collaboration between BLKD and Calix, has just been launched. This is the latest to come from Calix following the release of his mini album Ikugan, which he talks about in an interview in PULP Magazine’s upcoming Issue No. 197 (September-October 2018), featuring Calix and other local hip-hop artists. He also talks about past collaborations with BLKD. Iligan band Loop have just released a brand new single called “Sinner.” The track carries on the band’s signature dream pop vibe while taking on more relevant matters and modern day issues. “Sinner” is the first new track from the band, following their latest release Reality and Dreams from 2017. The track was recorded at Yellow Room Studios, mixed and mastered by Loop’s guitarist Mic Pacalioga, and released under Melt Records (Bomba Press). Currently on an extended stay in Manila, the band has no immediate plans to work on a follow up album to Reality and Dreams just yet, but a lyric video and another single can be expected from the band in the next couple of months. “Marlboro Black” is taken from his album Heartbreak SZN, which he talks about in PULP Magazine’s hiphop-loaded upcoming issue, Issue No. 197 (September-October 2018). “Lagi” is the result of an exciting collaboration between veteran rapper Gloc-9 and up-and-coming hiphop artist Al James. “It was surreal na makatangap ng invite mula kay Gloc 9 mismo at makatrabaho yung pinapakinggan at inspiration ko mula childhood… Isang karangalan maging parte ng project na ‘to,” Al James tells PULP Magazine in an interview. Watch out for PULP Magazine’s upcoming Issue No. 197 (September-October 2018) featuring Al James and more local hip-hop acts. The four-track EP you didn’t know you needed. Producer Tiradxr has just given us the soundtrack to annoying situations we all have been through one way or another, whether it’s waiting as someone takes too damn long withdrawing cash from an ATM or being served plain rice with your tapsilog instead of fried rice. 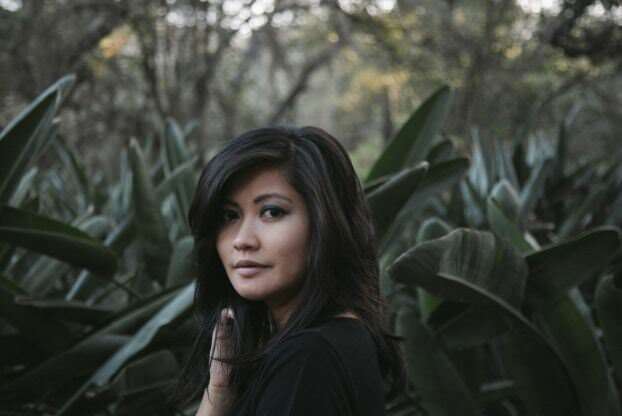 Keiko Necesario has dropped her brand new single, “Di Bale Na.” Launched at Unit 27, the single is the singer/songwriter’s first Tagalog single to come out. It follows “Highway” off her Escape EP which was released in 2017. Born in the Philippines and raised on the East Coast of the U.S., Alfa Garcia got her start touring colleges throughout the U.S. and in the Philippines. She has opened for Sam Smith, Us the Duo, Marc Cohn, the Rembrandts, and Howie Day, as well as Filipino artists Kitchie Nadal and Up Dharma Down. The singer-songwriter has recently signed with Warner Music Philippines. Tanya Markova are joining this list with their brand new single, “Iglap,” released through Tower of Doom. The band, according to Tower of Doom, spent the past year or so working on “a TON of new music,” this one being the first of many. It seems there will be more to come from Tanya Markova so expect them to be part of this list should they drop more releases in the near future! A favorite track from Neck Deep’s latest album The Peace and The Panic has just received a whole lot of love with the band releasing In Bloom: Versions, a digital EP with a couple re-imagined versions of the song. “The idea for ‘In Bloom: Versions’ came very naturally, initially after our friend Tony Hancock – aka Saxl Rose – came and played sax for us in Baltimore earlier this year. It was a pure jam, but we loved it and subsequently he played for us at the NYC and LA shows of that tour because we were just really feeling the vibe it brought to the song. From there, we decided a recorded version needed to be heard by everyone. Whilst we’ve been working on this recording, our boy Tony has only gone and played live with Paramore and done dates on Warped! Honestly, Tony is the man. We’ve also been playing an acoustic rendition of it at in-store and fan events since before the album was even officially released, so it seemed obvious that we should capture the vibe of that on a proper recording as well. And thus, ‘In Bloom: Versions’ was a thing,” shared vocalist Ben Barlow on the new release. In Bloom: Versions is available on iTunes, Apple Music and Spotify. Counterparts have announced their new EP Private Room, a “collection of B sides from the last two records that we think deserve to see the light of day.” This EP comes not long after the release of their latest full-length album You’re Not You Anymore, released in September 2017. Giving us our first taste of the forthcoming release, the band has released “Monument,” the first of three tracks in the EP. Pre-order here. Pre-order Proper Dose, The Story So Far’s fourth full-length album. A couple of weeks ago, the lads from You Me At Six dropped the exciting news that album no. 6 was on the way. They released two new songs, namely “3AM” and “Fast Forward,” the former having just gotten the visual treatment. VI comes out October 5th this year. Pre-order here . We wish it was Friday forever, especially with the release of Trophy Eyes’ brand new album The American Dream. It is the third album to come from the Australian band, and is based on the idea that there’s still utopia left on this this planet – a place where one can start again and live a peaceful life, forsaking the trail of destruction that threatened to derail it all. The American Dream is out now under Hopeless Records, featuring singles “You Can Count On Me,” “More Like You,” and “Friday Forever.” Get it here. Oh, Weatherly’s debut album Lips Like Oxygen is out now under Hopeless Records. 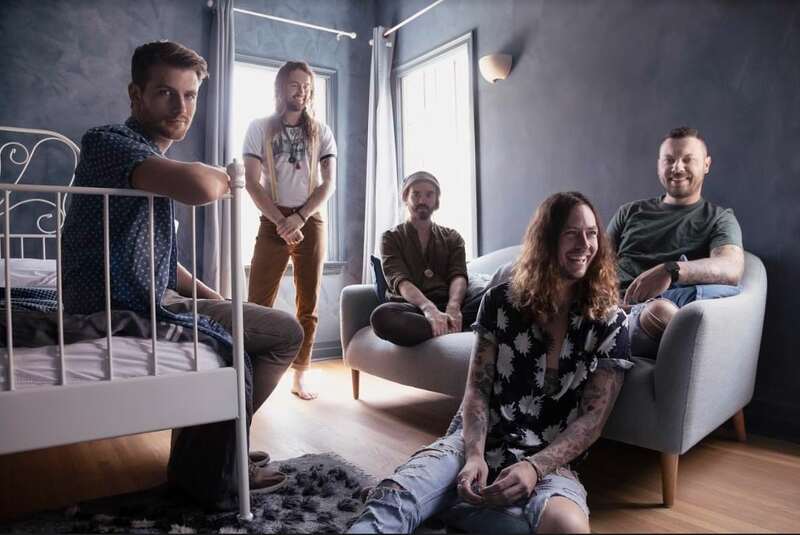 Co-produced by Jake Bundrick of Mayday Parade, the album is a deeply personal and emotionally revealing debut full-length from the Texan band. "What this album means to me is more than just music or simply a combination of nice sounding chords," shares vocalist Blake Roses. "This album is a tribute to the lessons I have learned and to the people who mean/meant most to me," Blake continued. "I do not regret anything I have done in my life and would not take back a single thing. I would not have made it here without these experiences driving me. That being said, I no longer expect anything from anyone but myself." Give Lips Like Oxygen a listen and get it here. Beartooth have also released the title track and another one called “Bad Listener” as the first singles Listen below and pre-order the album here. Behemoth’s brand new album I Loved You At Your Darkest, following 2014’s acclaimed The Satanist, is due out October 5th, 2018 via Nuclear Blast Records (Europe) and Metal Blade Records (North America). It’s available for pre-order through this link. Grab a copy of PULP Magazine’s current issue, Issue No. 196 (July-August 2018), which features our SPECIAL COVERAGE of PULP SUMMER SLAM XVIII.